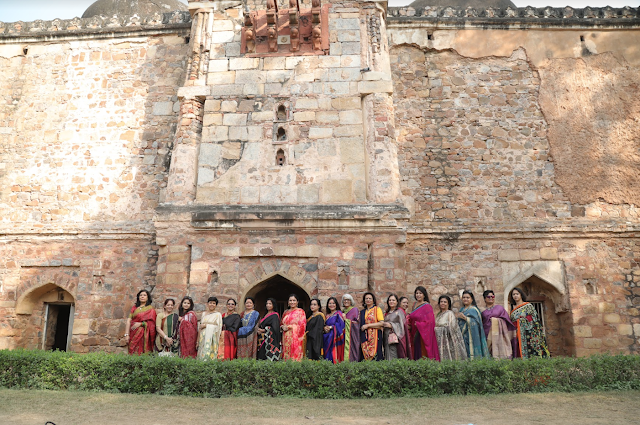 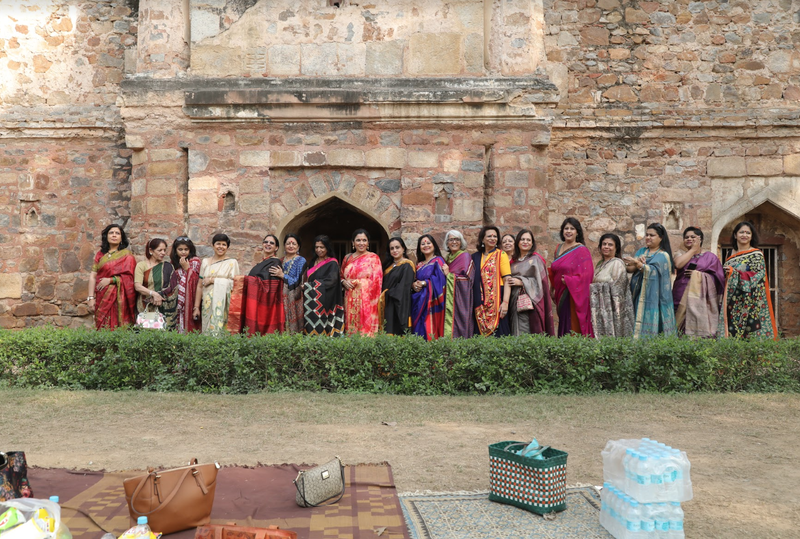 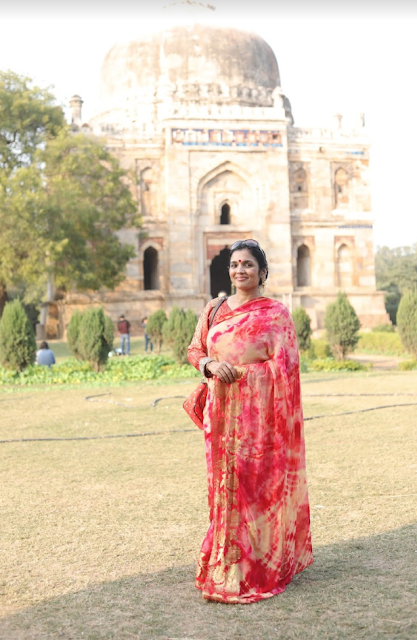 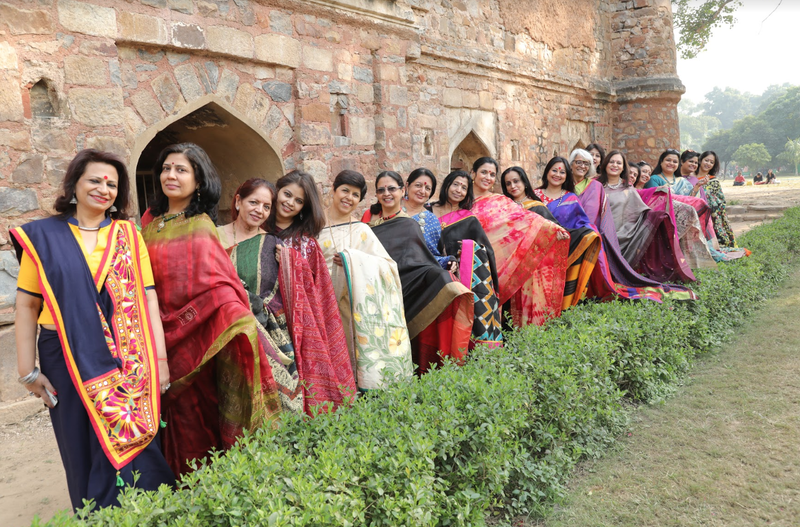 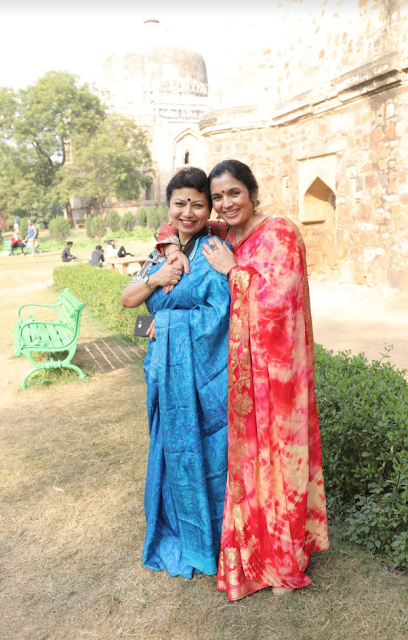 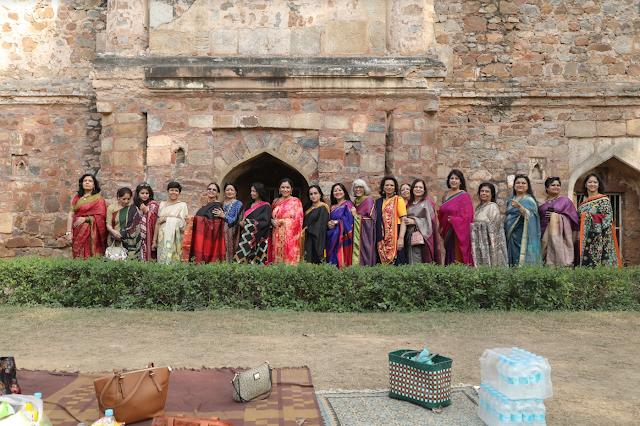 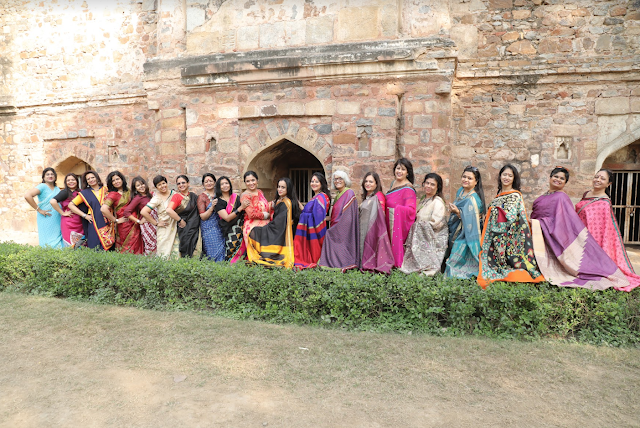 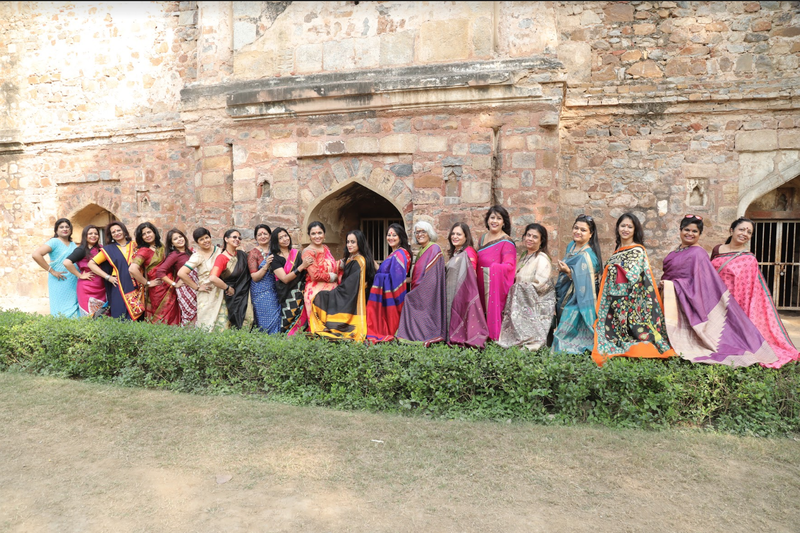 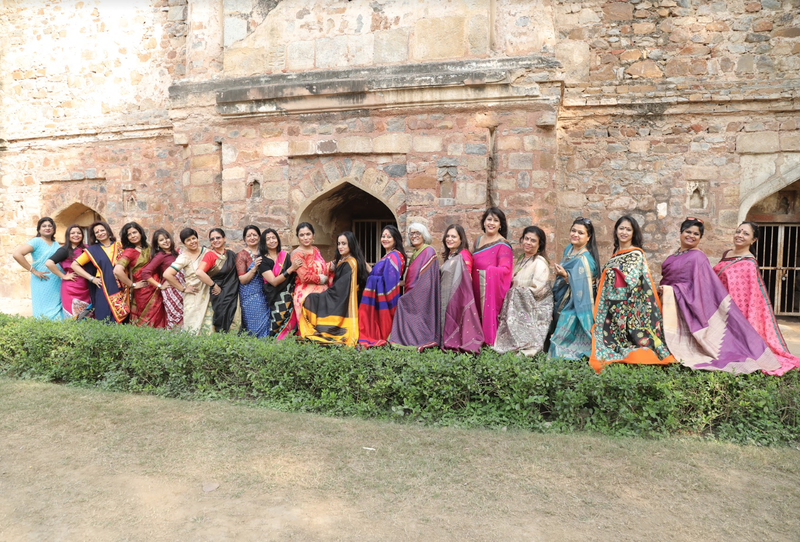 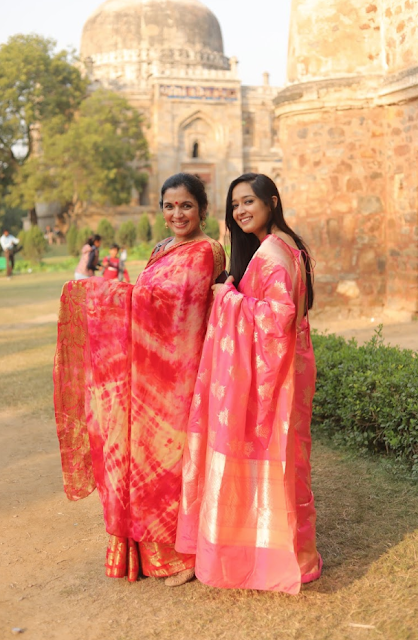 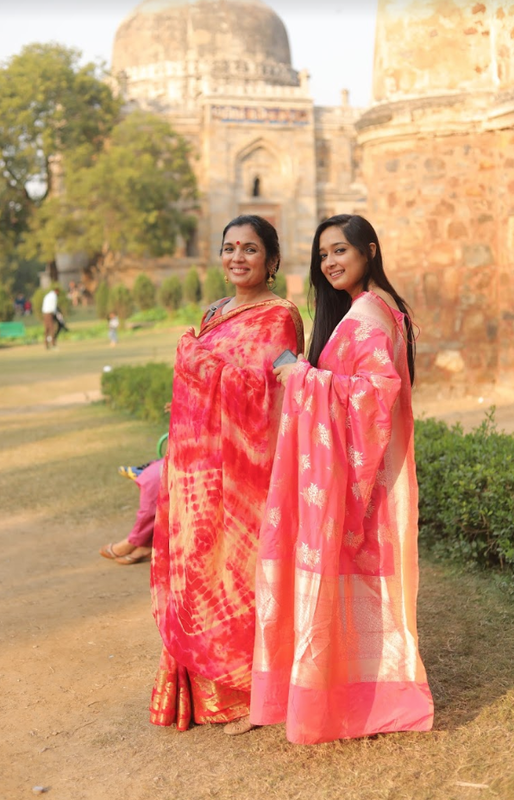 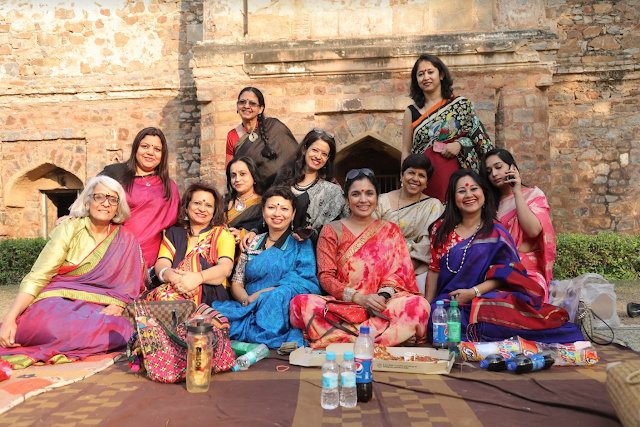 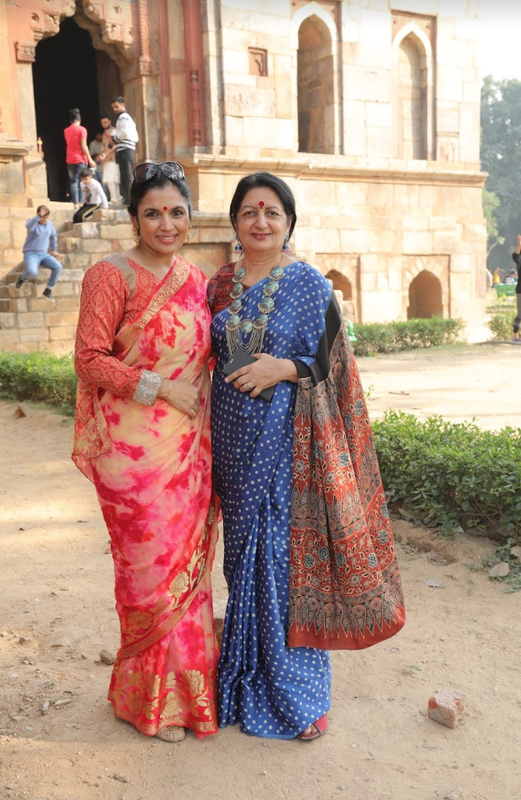 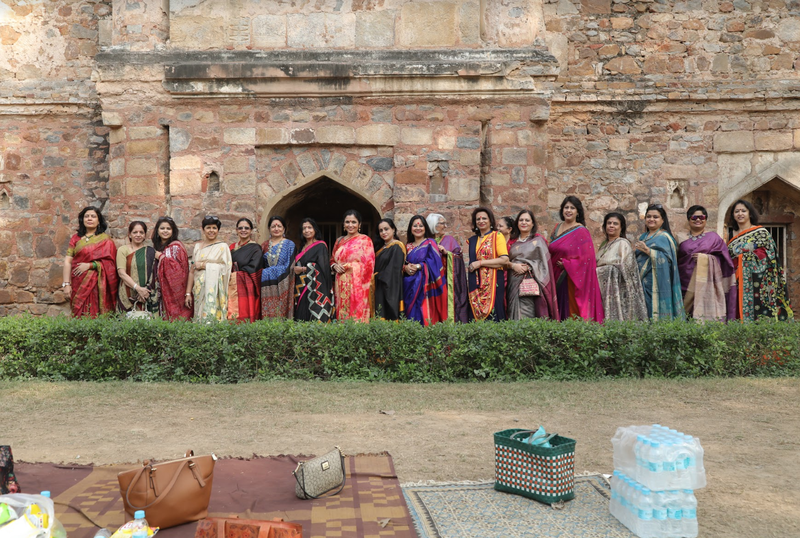 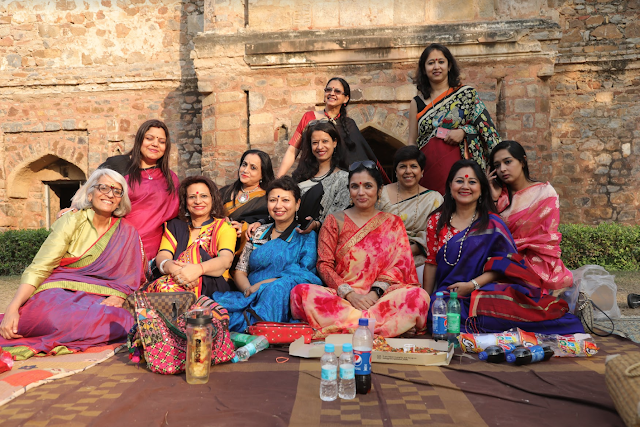 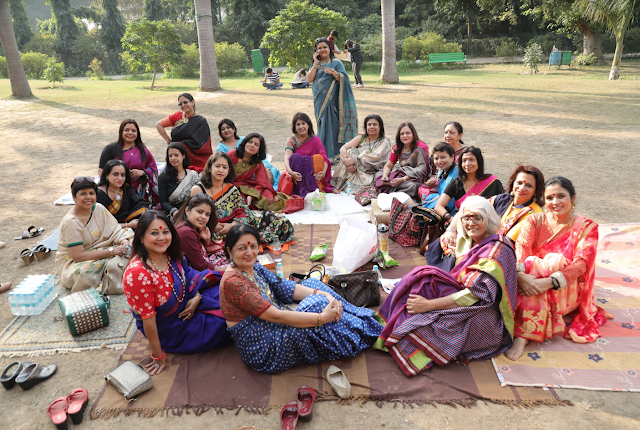 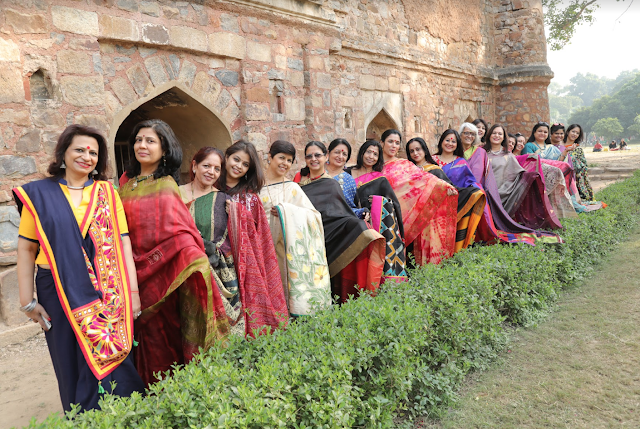 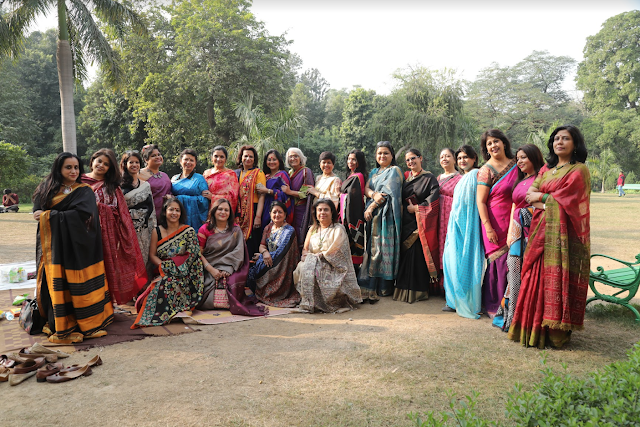 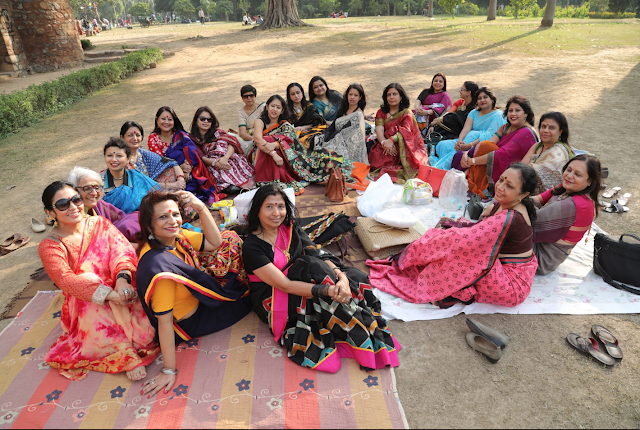 Yesterday was a picnic with saree friends in Lodhi gardens. 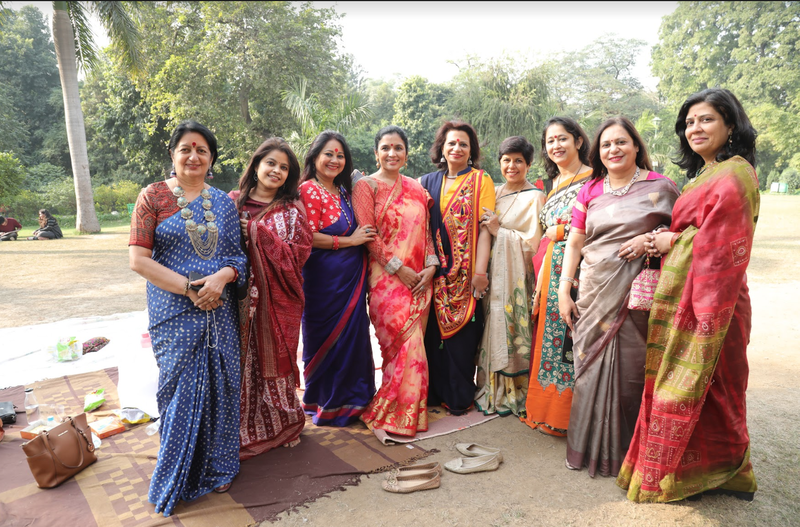 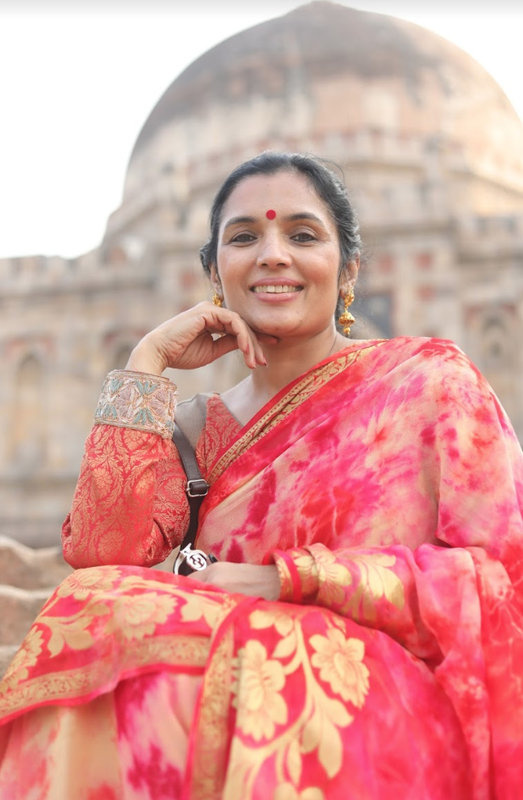 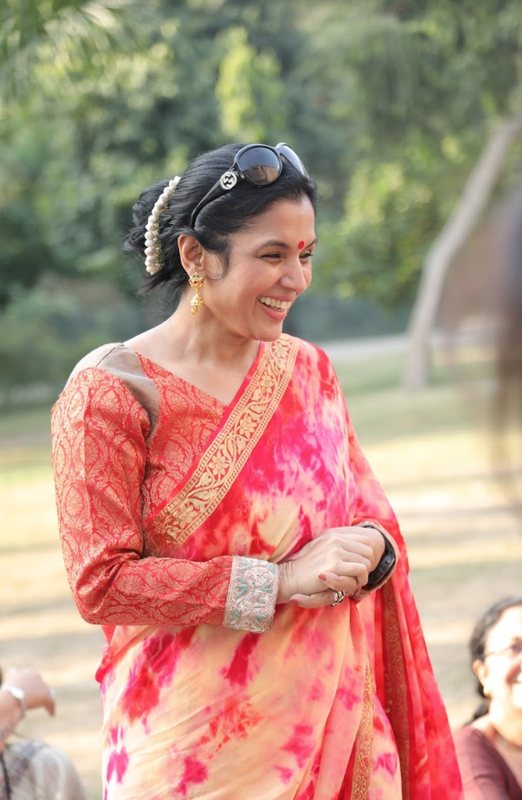 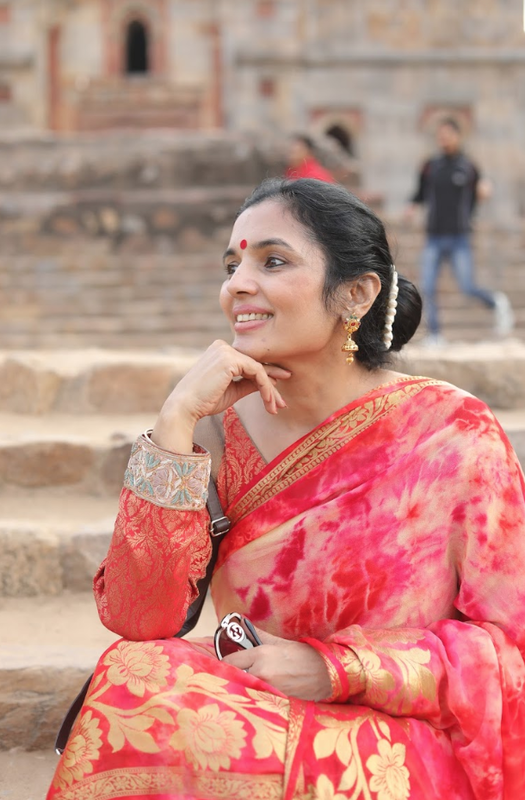 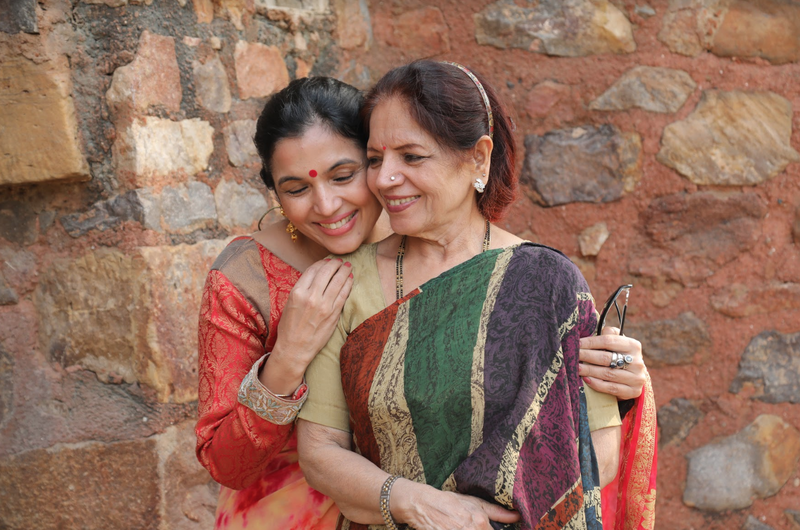 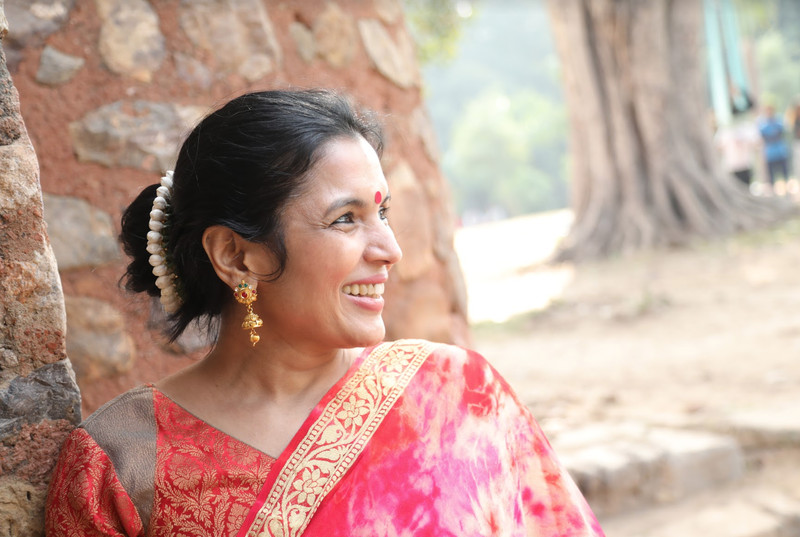 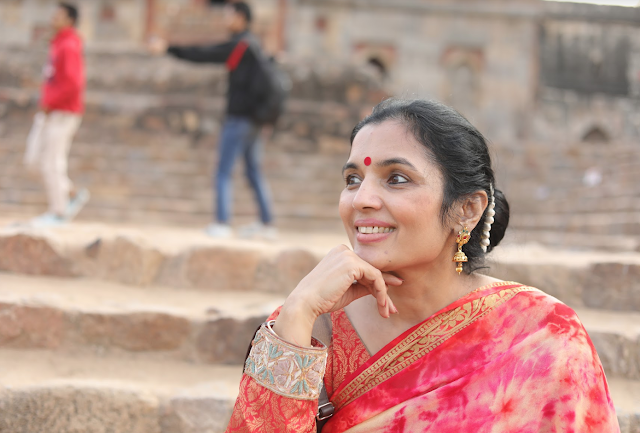 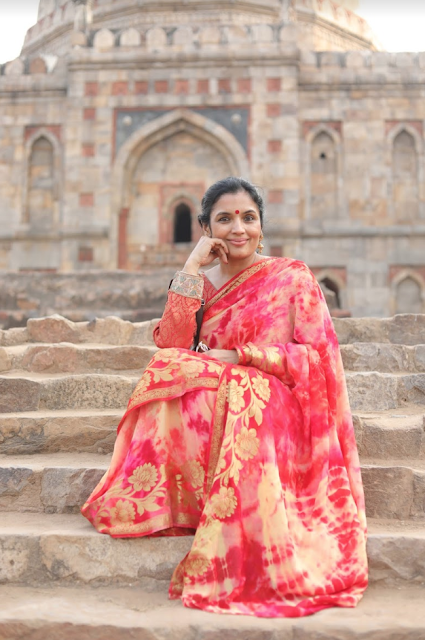 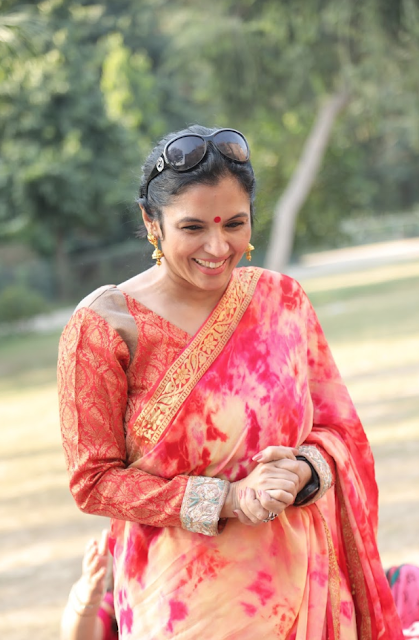 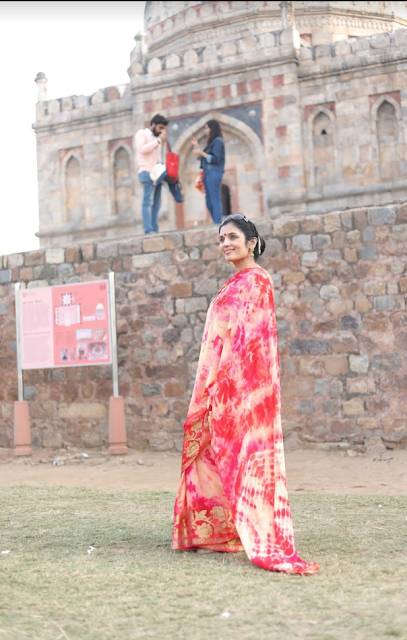 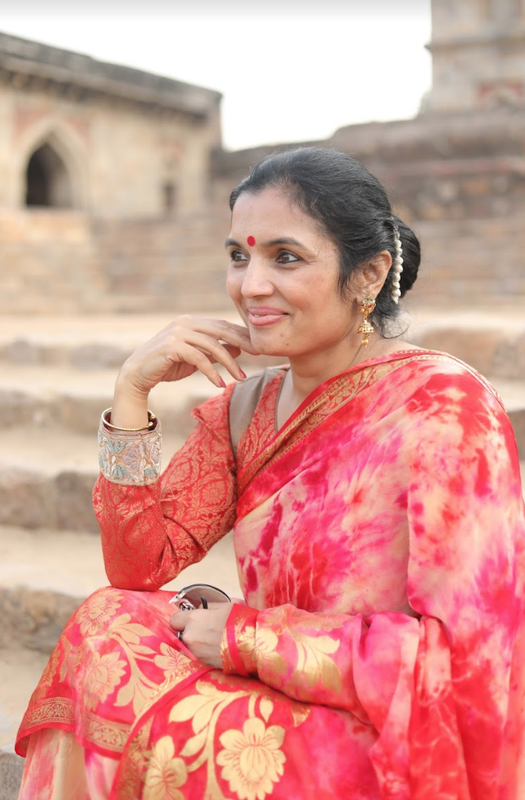 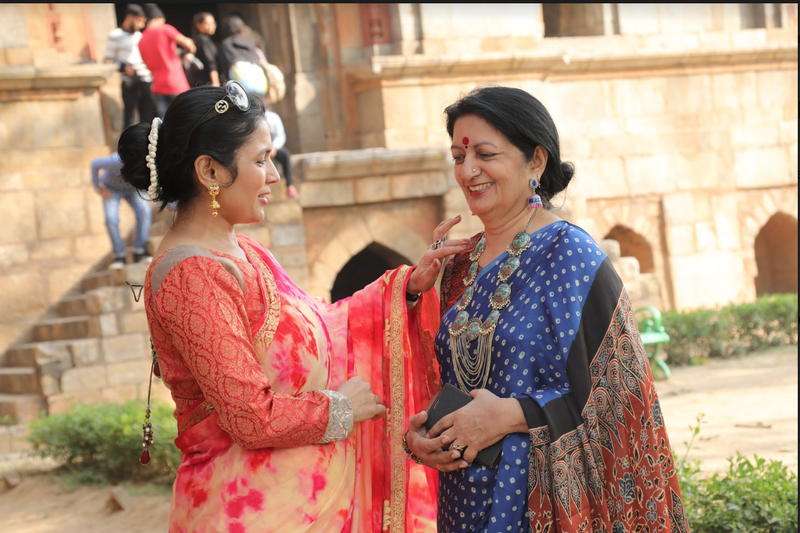 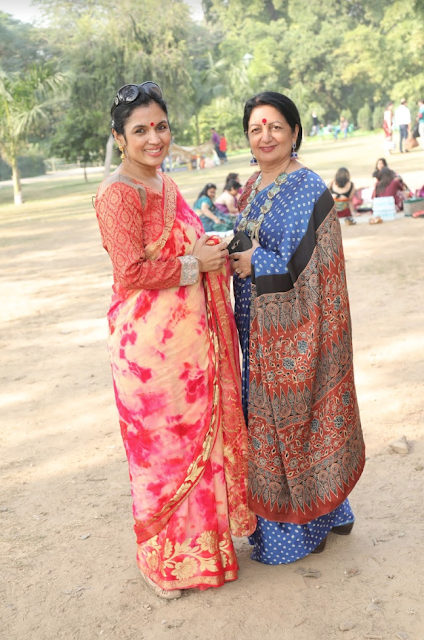 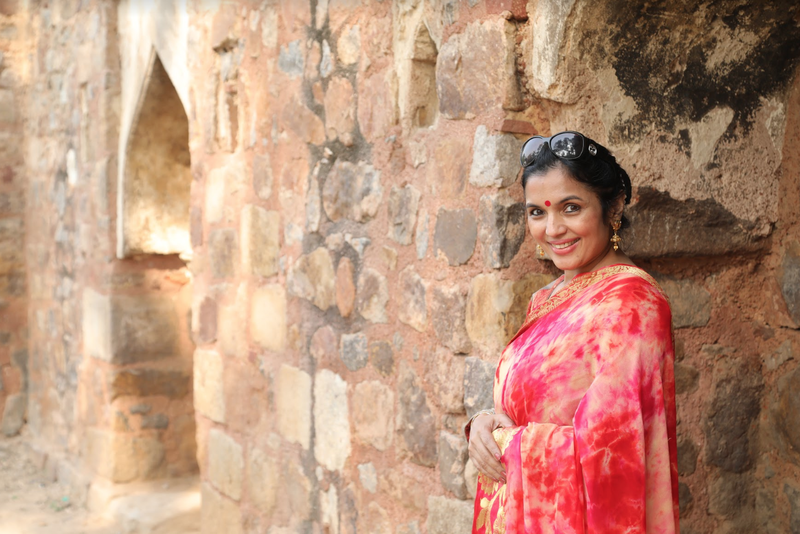 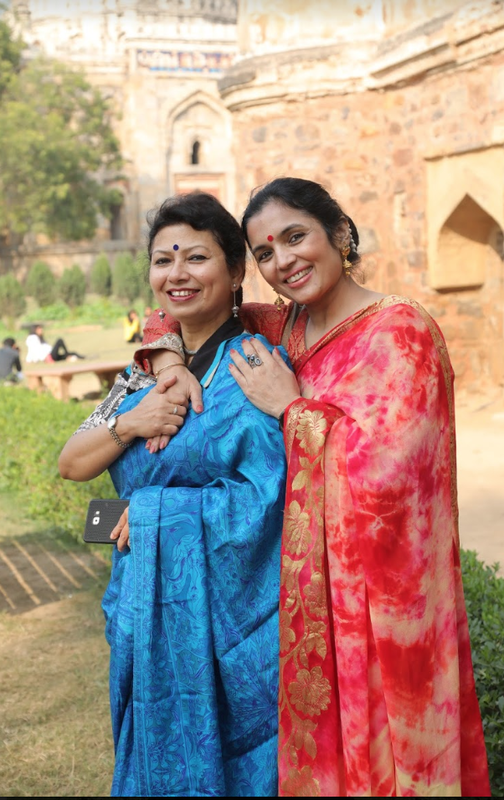 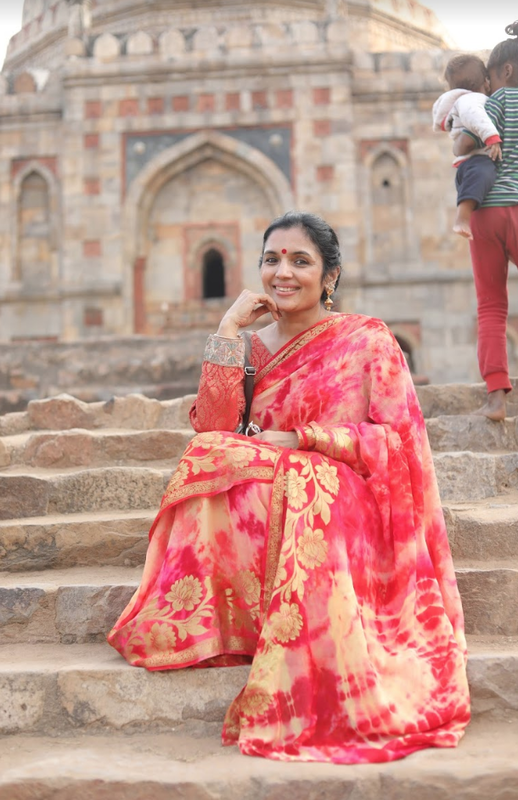 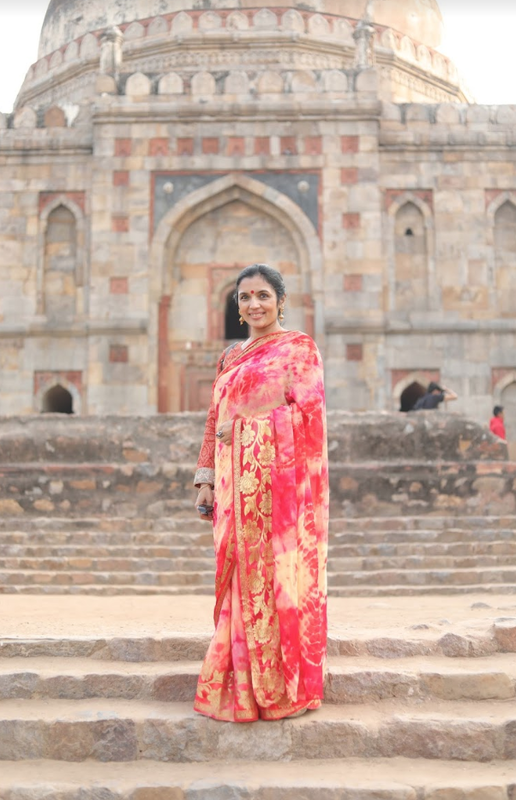 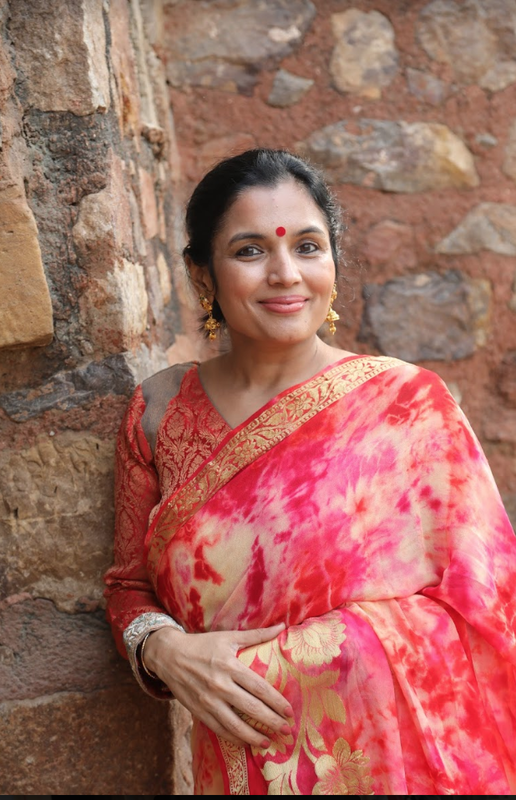 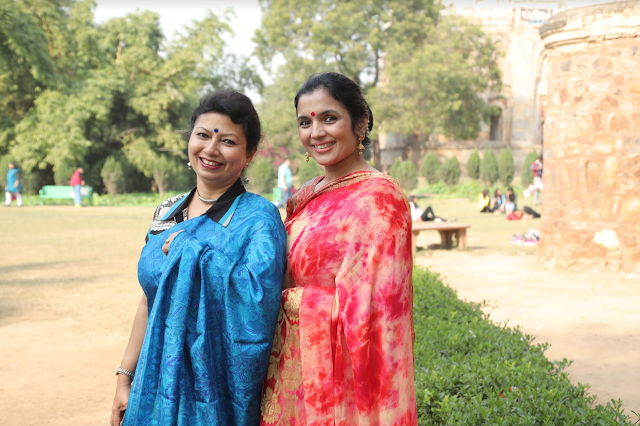 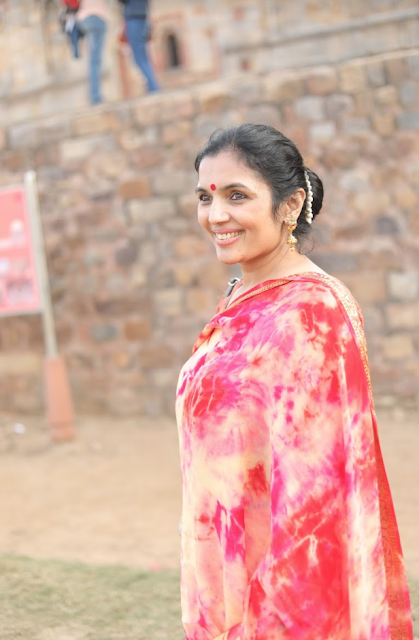 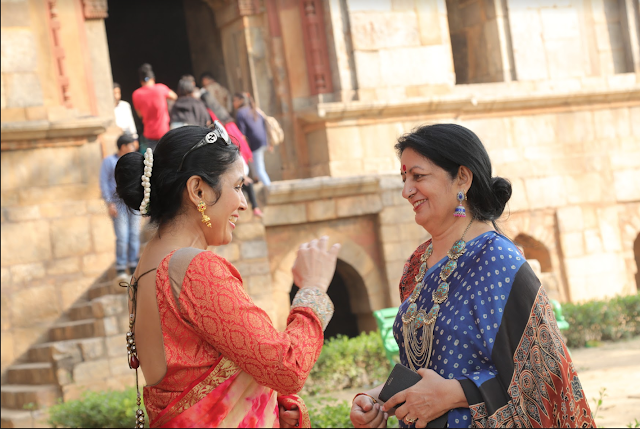 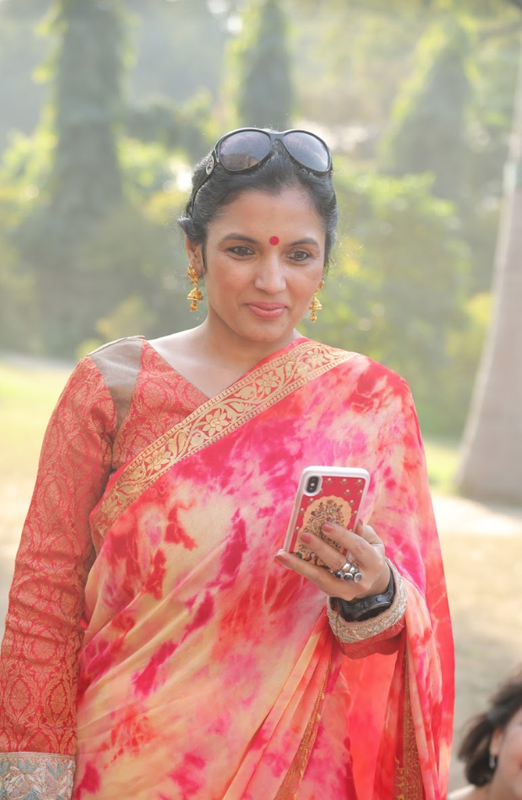 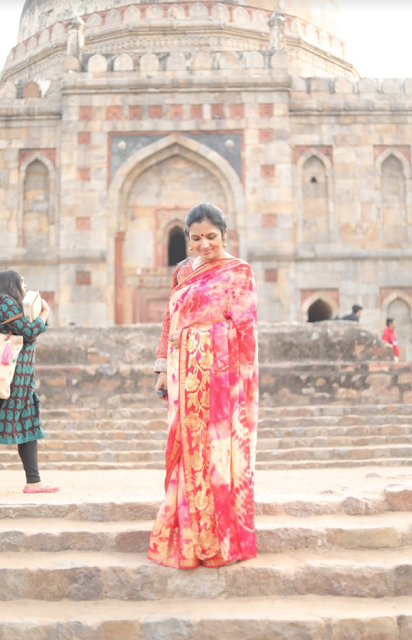 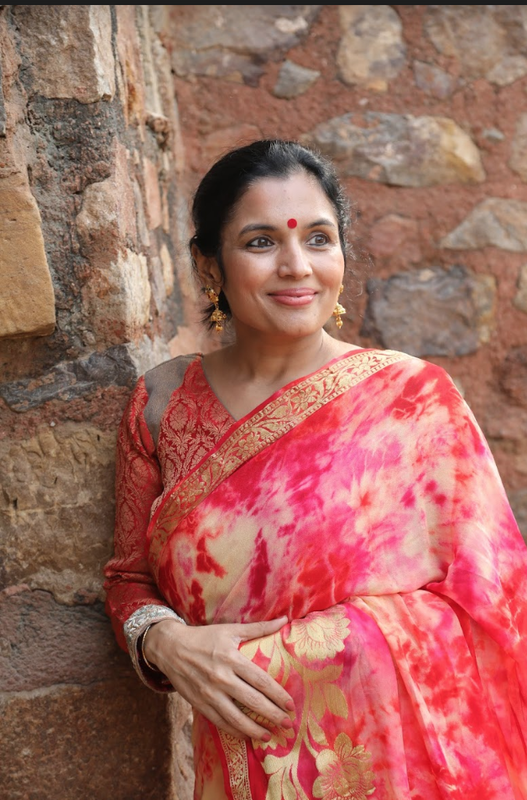 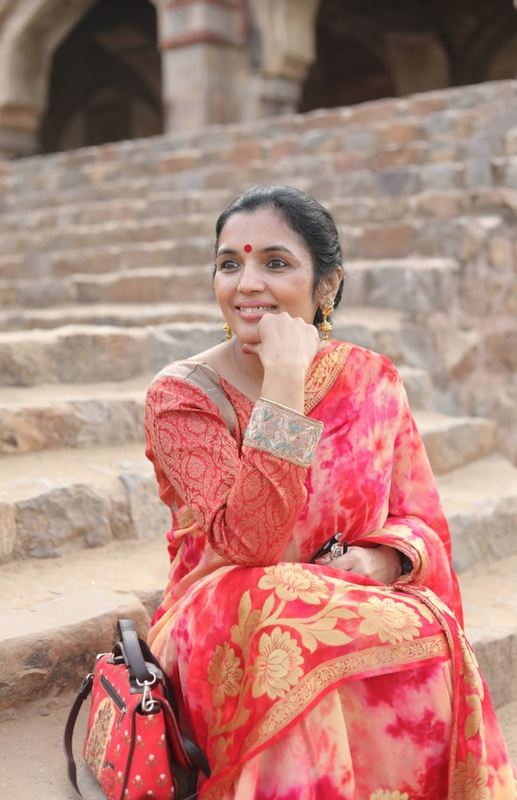 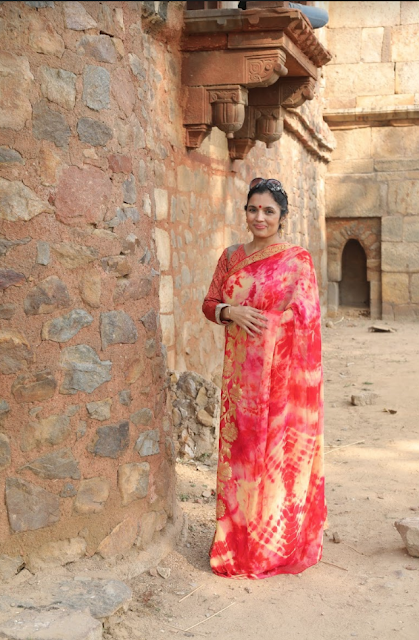 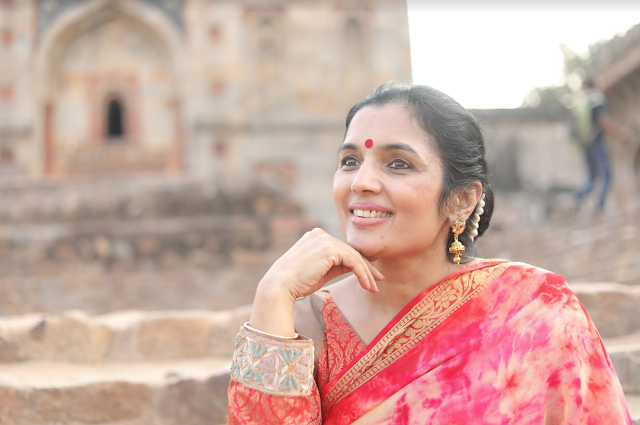 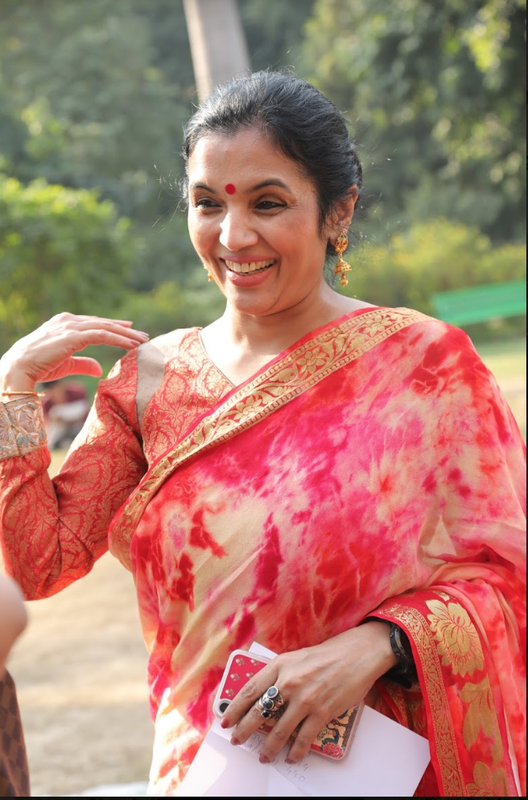 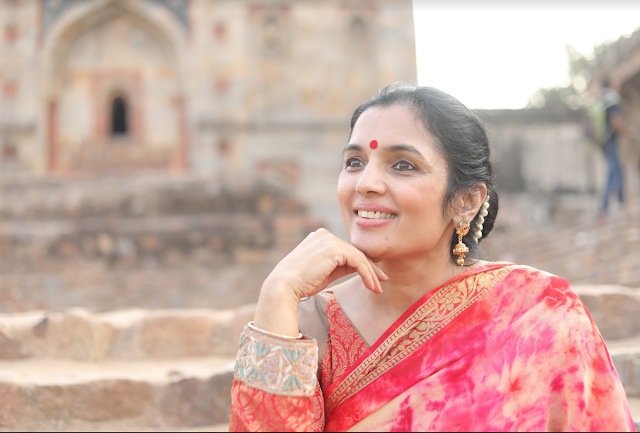 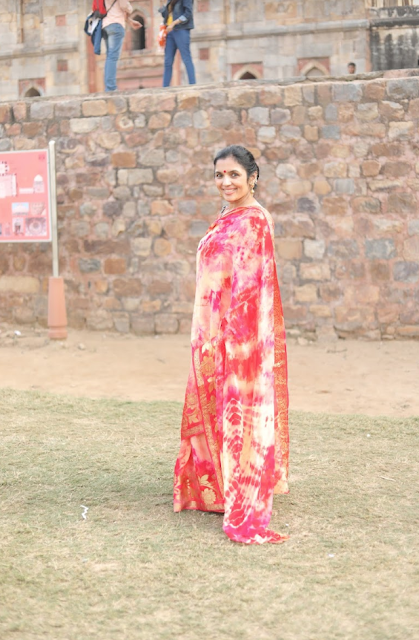 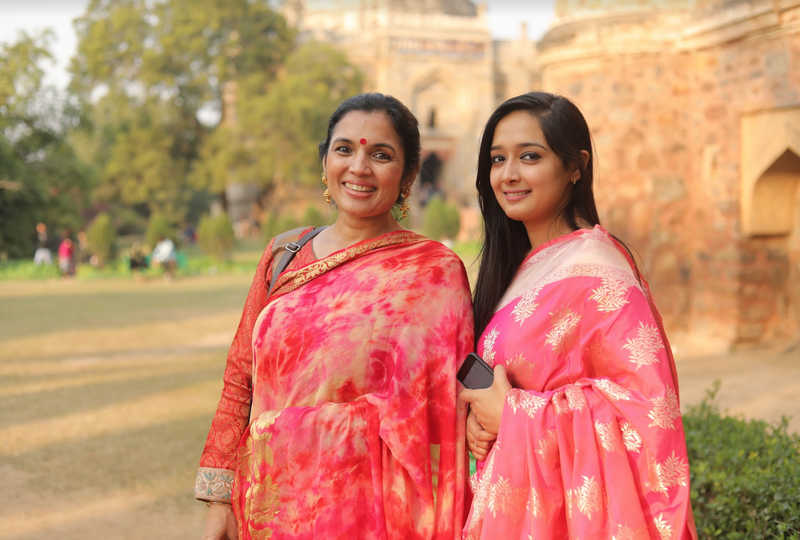 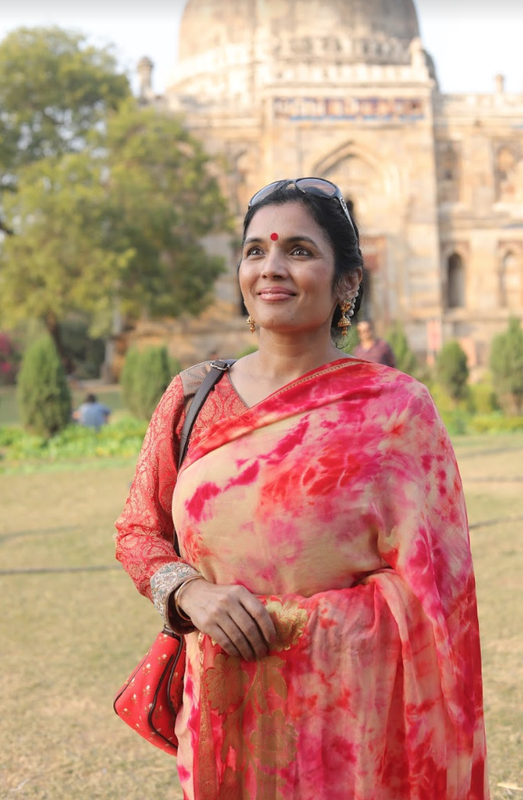 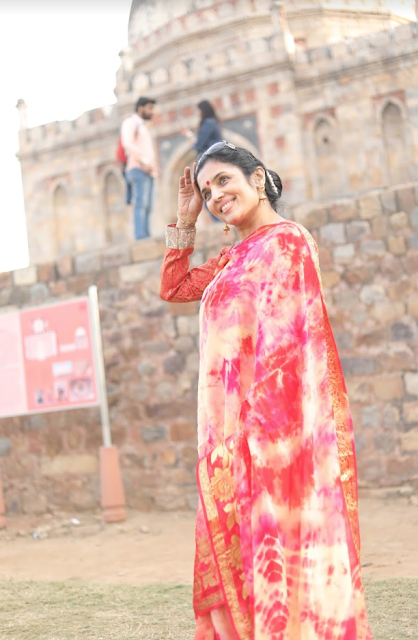 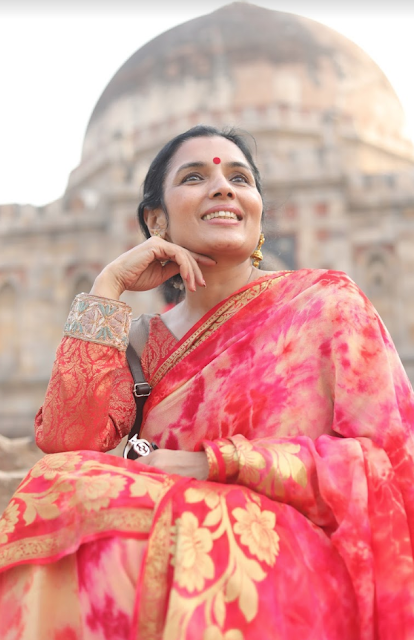 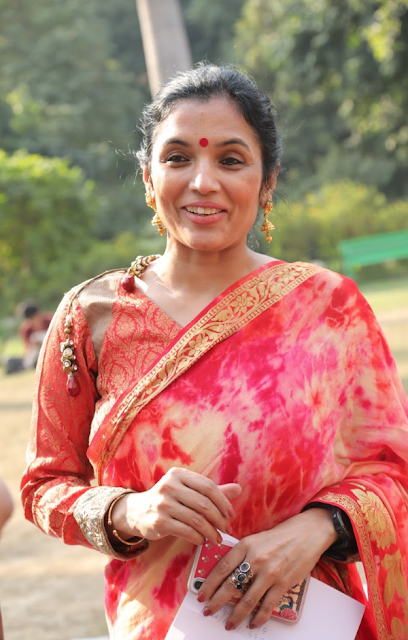 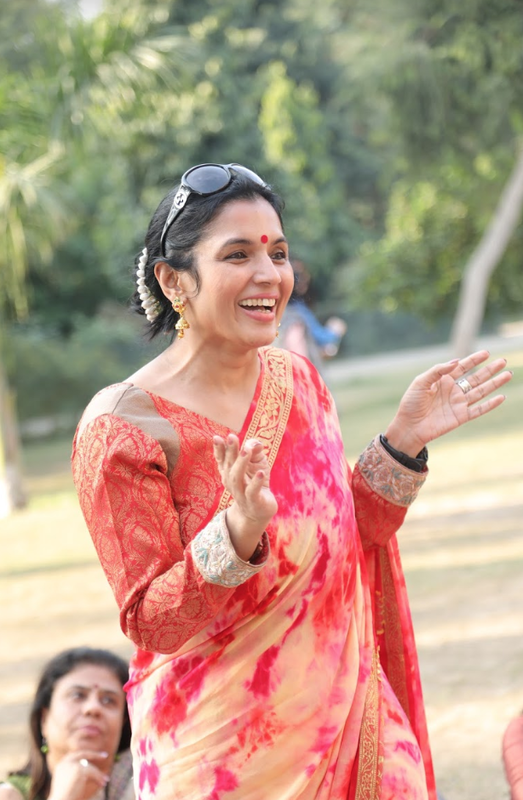 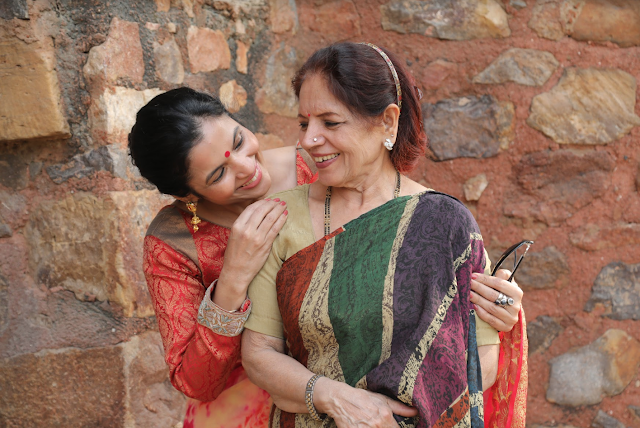 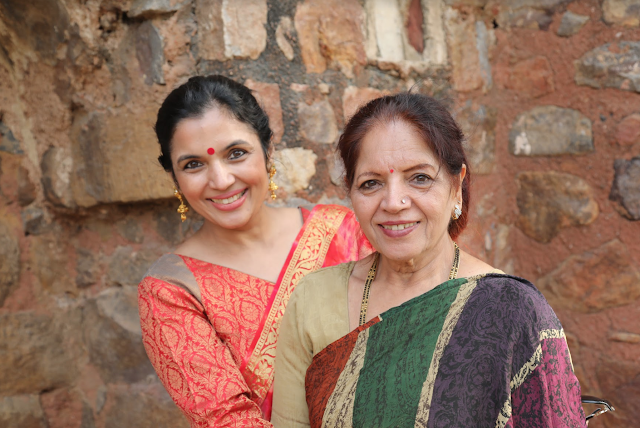 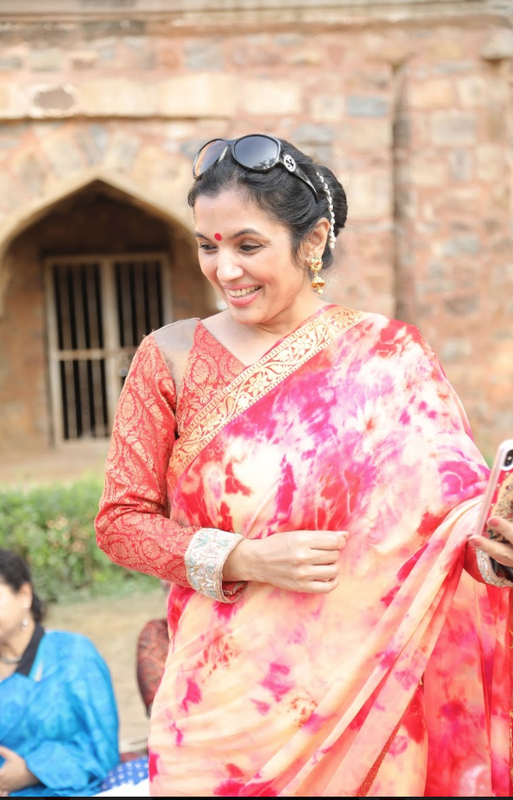 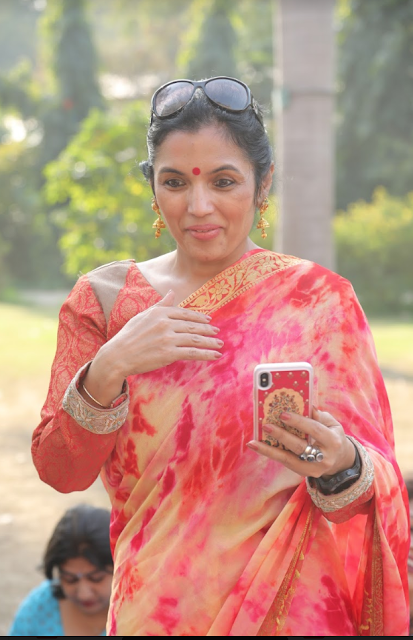 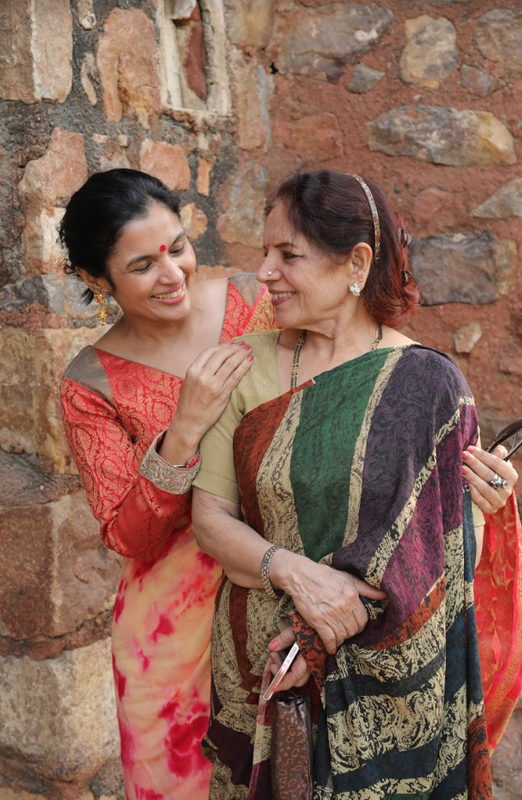 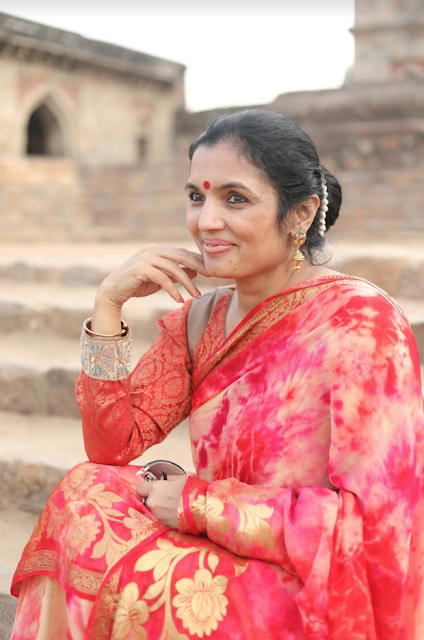 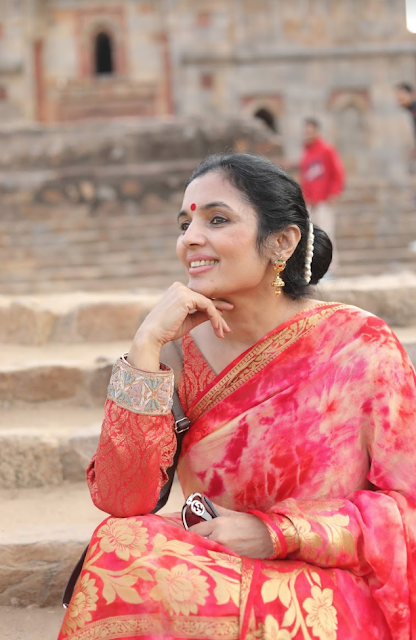 It was time to bask in the winter sunshine, get fresh air amongst greenery, eat food, giggle, get lots and lots of pictures done in picturesque surroundings, hear some music, meet and know some very talented saree friends and come back feeling rejuvenated. When we go on a picnic, we get outside and enjoy nature: We observe flowers and birds and trees, and how everything changes with the seasons. 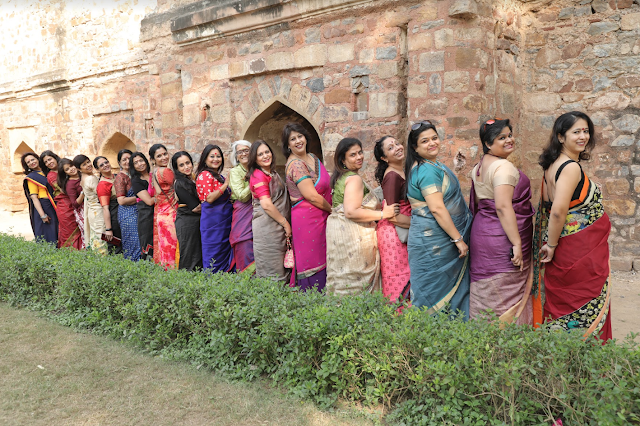 We practise our photography skills. 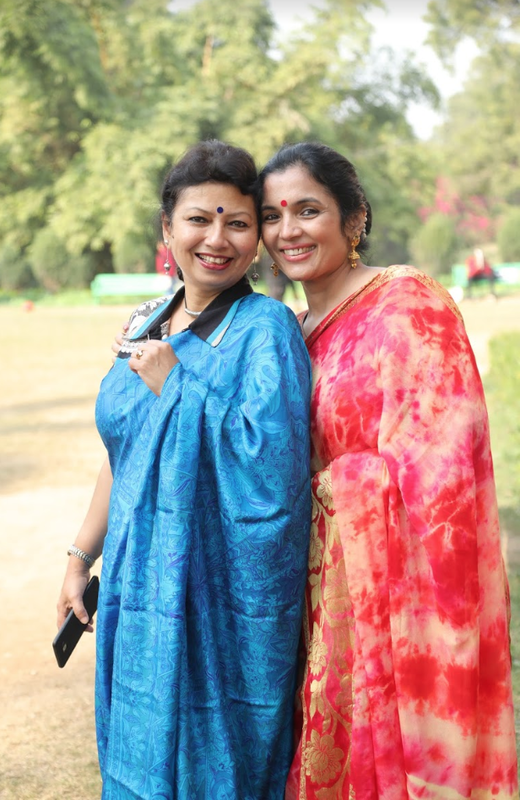 We stroll along paths and down bush trails, breathing in fresh air and exercising our legs. 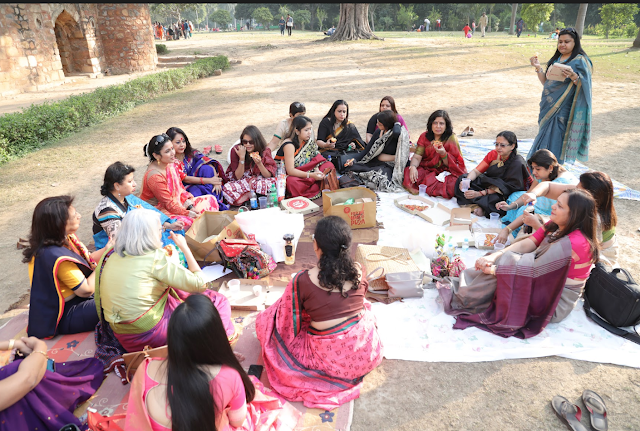 And while we are doing all of this, we talk and talk about all kinds of things. 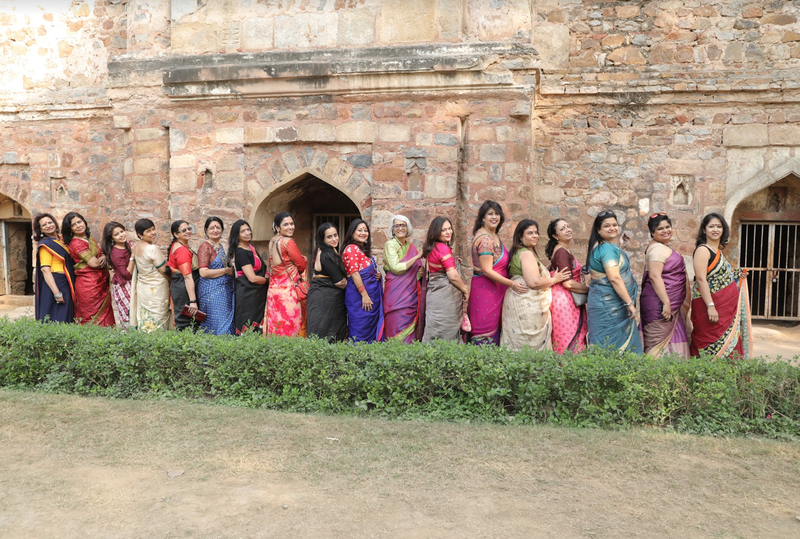 We link arms and smile. 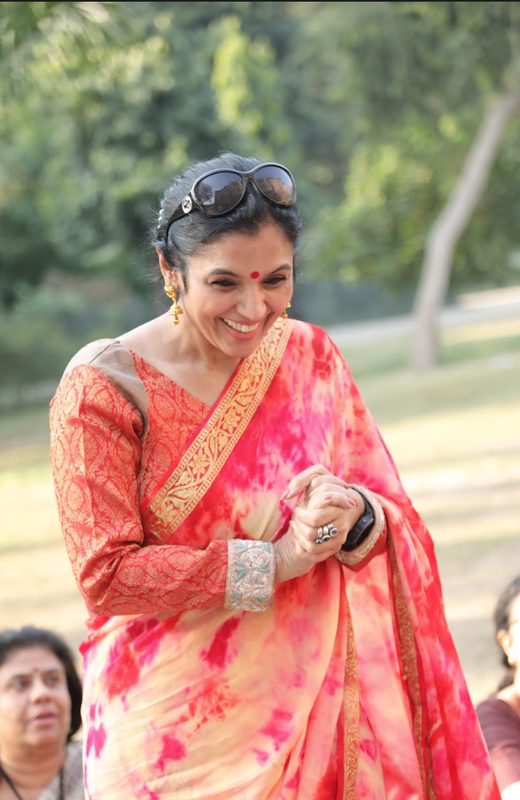 We soak up all the pleasure of living in the moment. 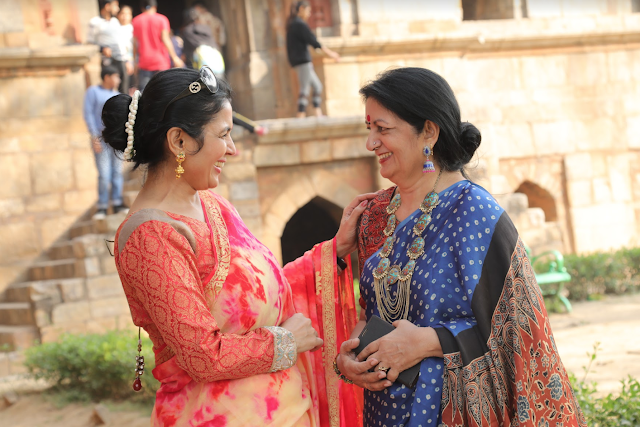 We love and enjoy and the bonds between us grow stronger. 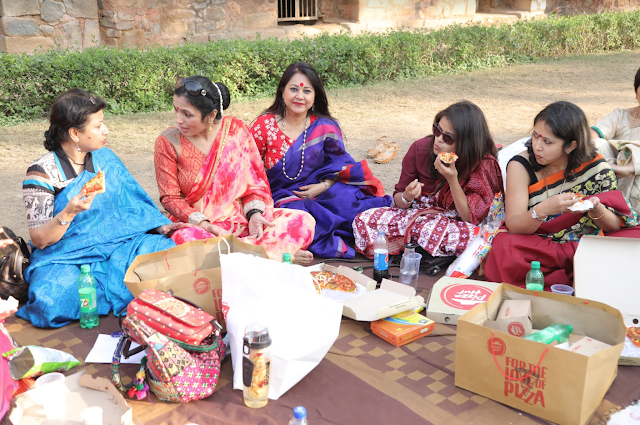 And that’s why picnics are important. 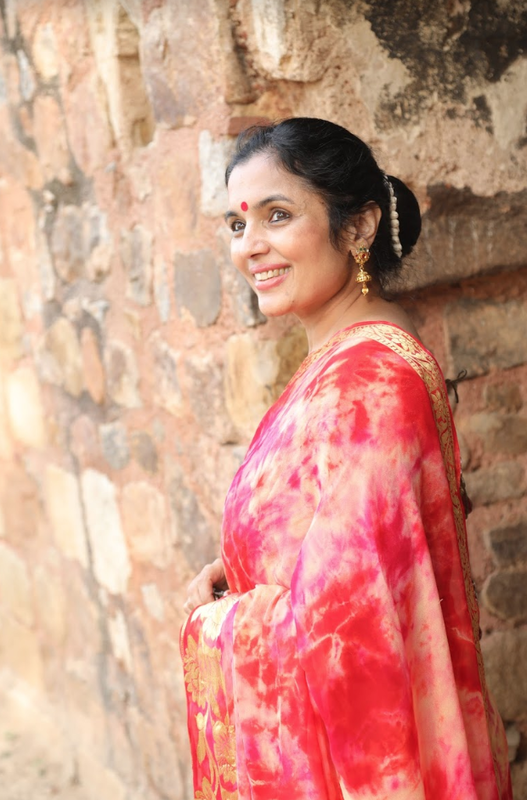 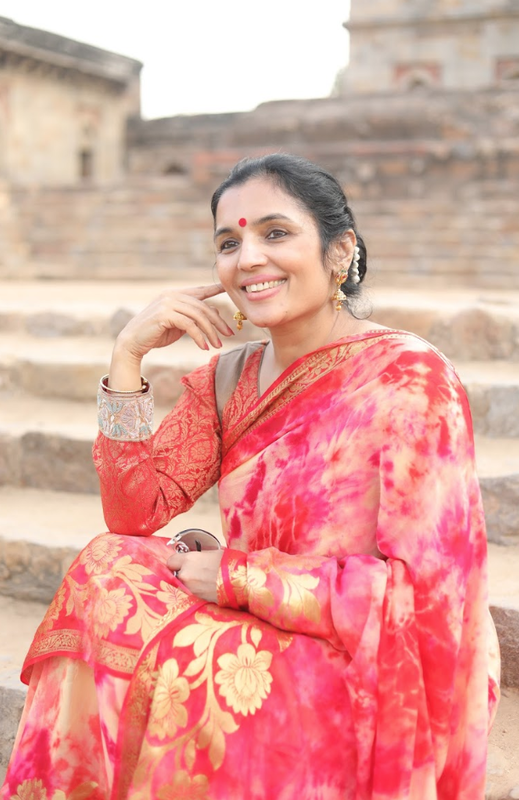 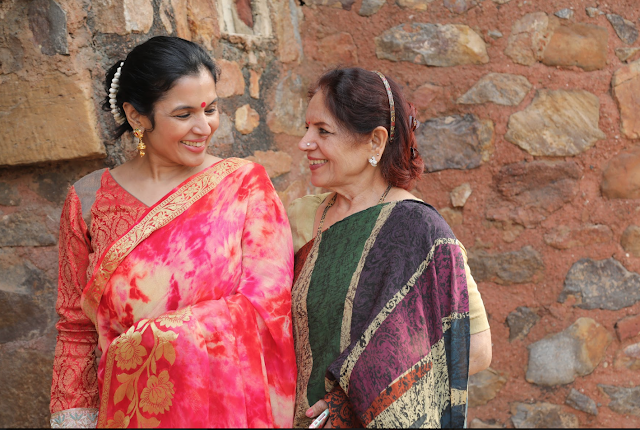 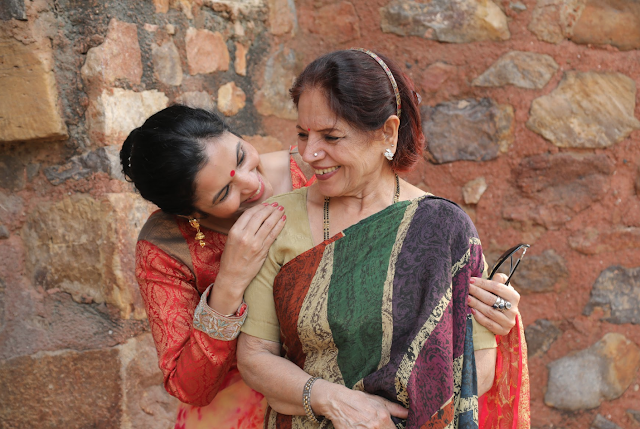 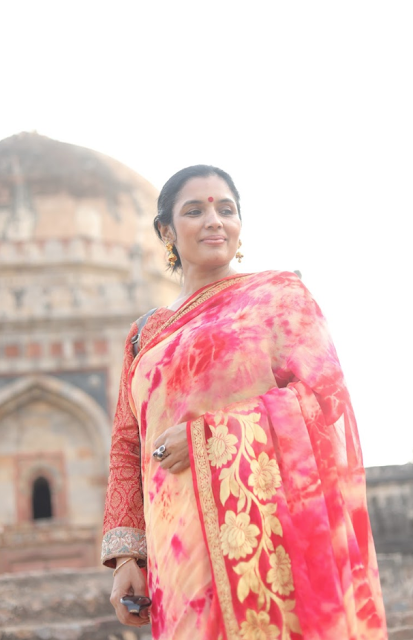 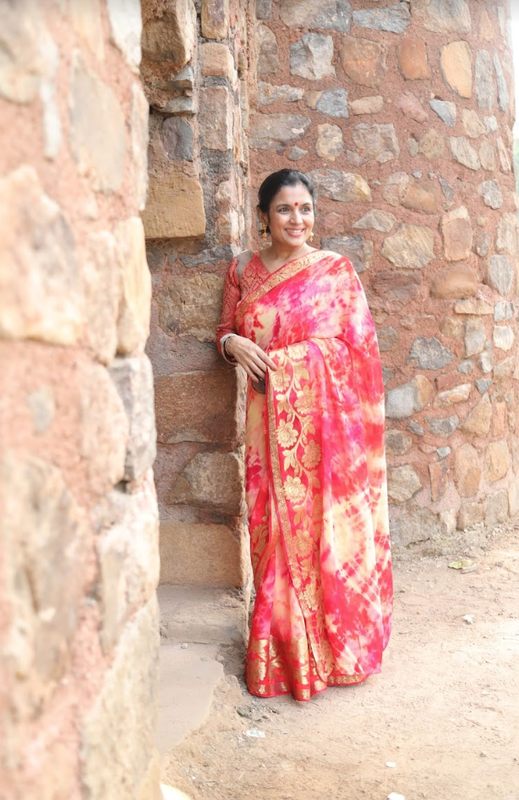 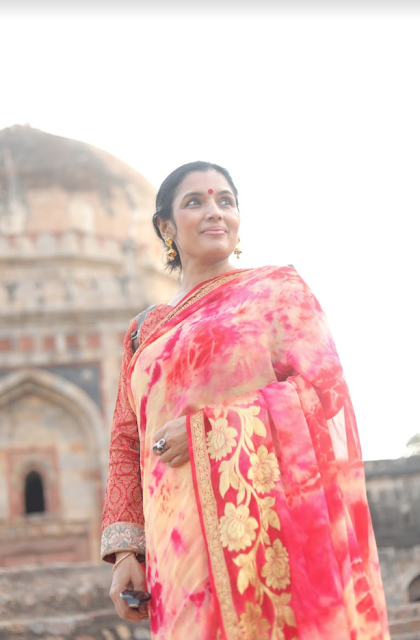 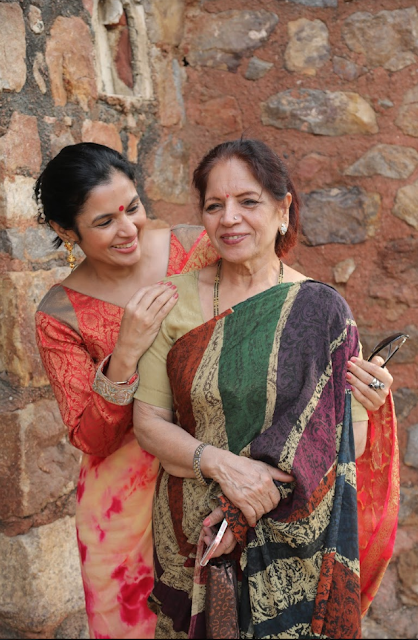 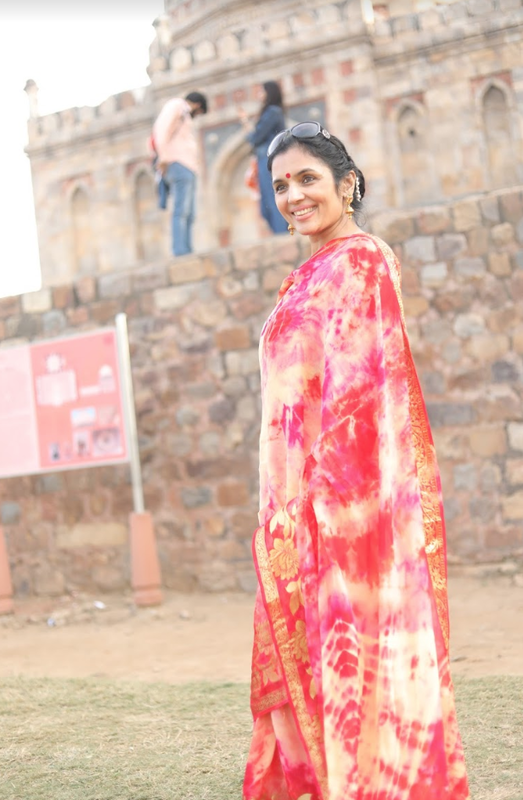 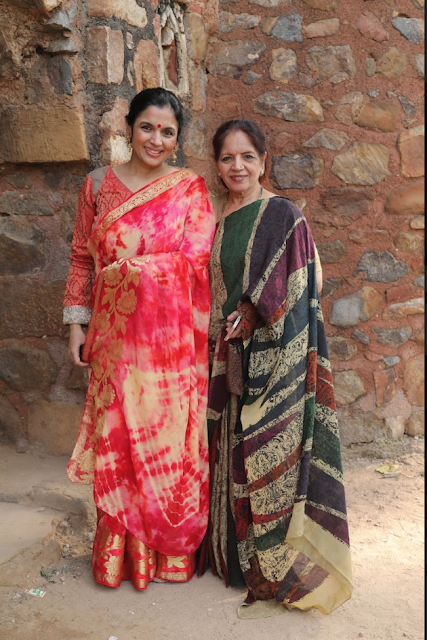 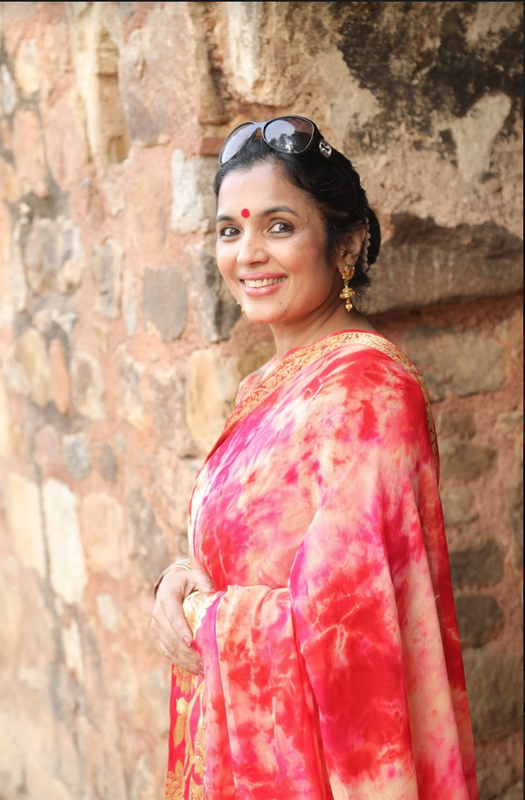 I wore a shibori saree with pure zari on border and pallu.